Temple ElephantsRevered in myth yet cruelly kept in reality, the Temple Elephants suffer for status and religion. Humane Tourism“Riding an elephant” has no place on a Bucket List. Elephant EntertainmentCruelty disguised as entertainment is no fun at all. CoexistenceTime to turn a history of conflict into a future of coexistence. 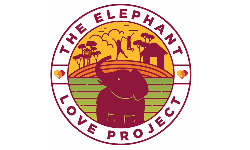 THE ELEPHANT LOVE PROJECTBringing Empowerment and Education to schools and communities in central Sri Lanka. ELEPHANTS CAN’T READA new Primary School library in the elephant lands of NE Cambodia. #NotOnMyBucketListChanging the Bucket List to change the future of captive elephants around the world. HONEYBEES AND ORANGE TREESA trial project combining elephant-deterring HoneyBees and Orange Trees. 2 Million Letters for GangaAdvocacy for Humane Treatment of Temple Elephants in Sri Lanka. HEC Field GuideMultilingual field guides to encourage coexistence in wild elephant habitat. In December we launched our international Humane Tourism campaign #NotOnMyBucketList, empowering people around the world to participate on social media by helping tell, share, and change, the elephant story. Although trekking, circus shows, and temple parades happen year round, December through February is high-season for captive elephants used in the tourist industry throughout all of SE Asia, and is prime time to take action. Every person who participates helps spread the message far and wide that elephant cruelty disguised as entertainment needs to be taken off the Bucket List, enabling every traveler to help create a more humane world for the elephants no longer able to live in the wild. The response to the campaign has been incredible, with wonderfully creative posts coming in from every corner of the globe. THANK YOU to everyone who has participated! 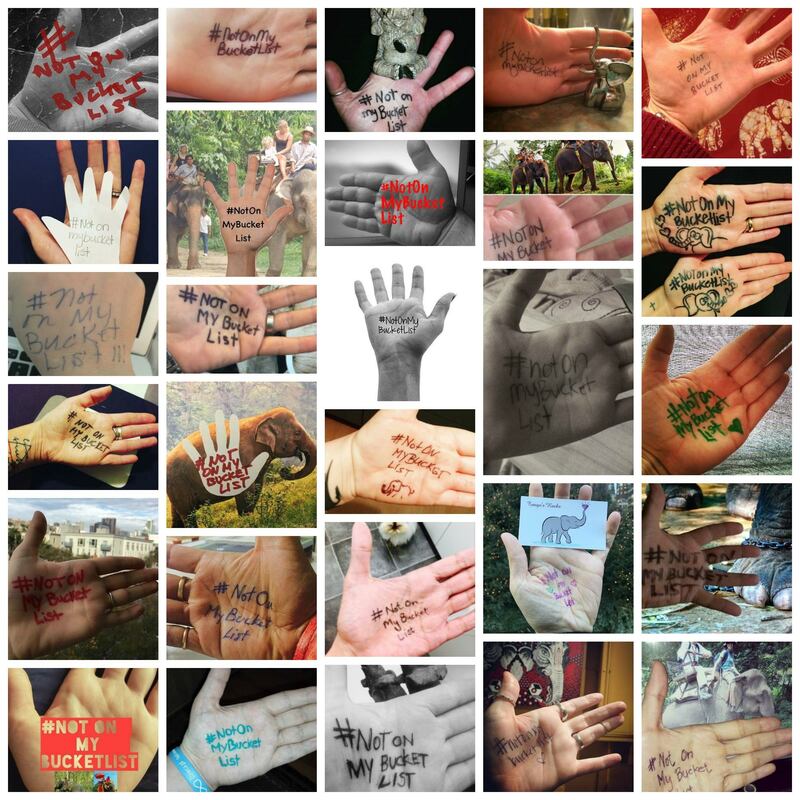 If you haven’t joined in, please reach out your hand for the elephants and help spread the word and change the world! Taking action and speaking up to your friends, families and followers is not always easy to do, but we believe that compassionate action is the only way to move towards change. So thank you for taking a stand. You voices truly matter! It’s not too late to take part! It’s quick, it’s easy, and we need your Helping Hands! WRITE #NotOnMyBucketList on your hand (or a paper hand) and take a picture. TAG Heart of Ganesh in your post, and SHARE far and wide! HEART OF GANESH IS A 501(C)(3) NONPROFIT CHARITABLE ORGANIZATION BASED IN THE USA AND WORKING THROUGHOUT SE ASIA. 102 WEST 31st STREET, VANCOUVER, WASHINGTON, 98660. TAX ID# 46-3162458.